AMS Academic Solutions is a subsidiary under Alexis M Services LLC. Alexis M Services LLC is a certified MBE (Minority Business Enterprise) and a certified HUB (Historically Underutilized Business) in the state of Texas. This company is owned and operated by Alexis M. Scott. AMS Academic Solutions provides one-on-one and group tutoring to students at a time convenient to them. AMS Academic Solutions also gives the student the option of in person tutoring or instruction via an online whiteboard. We focus on foundational understanding. We do not teach to the one test but provide the skills necessary to succeed on any test. Alexis has had a love and a gift for numbers since a very young age. She has both a Masters of Science and a Bachelors of Science Degree in Mathematics. 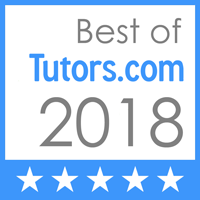 Alexis has been teaching/tutoring Mathematics for over 20 years. She has been a college professor of Mathematics for over 18 years. Alexis founded AMS Academic Solutions as a way to use her gifts of numbers and teaching to provide quality tutoring to those who have struggles with Math and other subjects. Denise Chambers received her Bachelor of Business Administration with a concentration in management from Northwood University in 2004. She continued her studies by attending Dallas Baptist University’s Graduate Program in Dallas, Texas, between 2006 and 2009. She obtained a Master of Arts in Management with a Conflicts Resolution concentration and a Master of Business Administration with a Project Management concentration. Denise also holds a certification in Leading the Nonprofit Organization for DBU. Denise believes that Knowledge is power and that It allows us to have more self-confidence that could lead to greater self-esteem and motivation. She loves working with children to help them reach his or her full academic potential by working to develop good study and sound study habits.